French centrist presidential candidate Emmanuel Macron took first place in the first round of the French presidential election, according to the French Interior Ministry; he will face off against populist leader Marine Le Pen in May. Macron, a candidate from the newly-formed French political party “En Marche!” (Forward!) 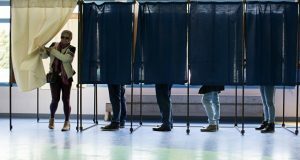 outperformed his main rival, far-right National Front leader Marine Le Pen, gaining 23.75 percent of votes while Le Pen received support from 21.53 percent of French voters. 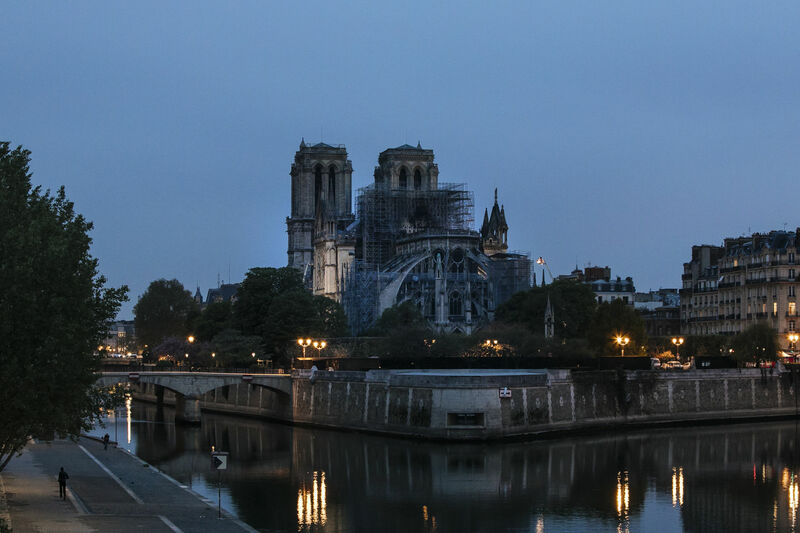 The run-off is scheduled for May 7, and recent polls show that Macron is very likely to become the next president of France. According to the latest election poll by Ipsos, Macron would win the election with 62 percent of votes against 38 percent for Le Pen. 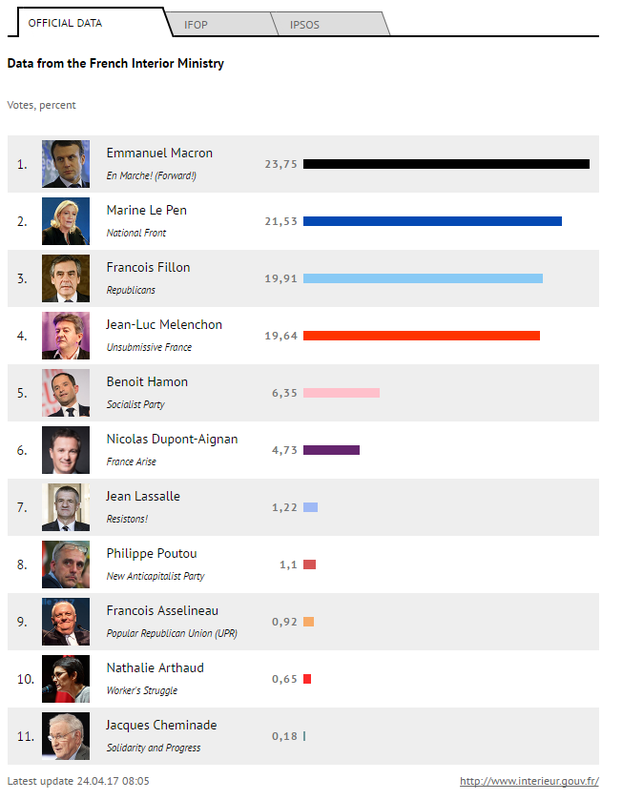 According to Harris Interactive, Macron would beat Le Pen, winning 64 of the vote. 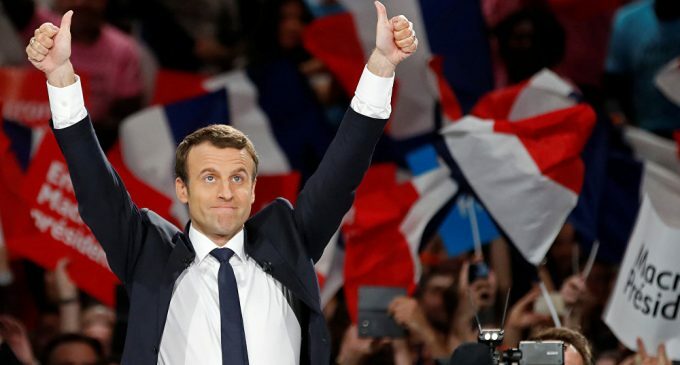 Macron received congratulations on the victory from incumbent French leader Francois Hollande, a number of European politicians as well as his political supporters and rivals. Socialist candidate Hamon, who placed behind the four leading candidates in Sunday’s election, called on his supporters to give Le Pen the “strongest possible beating” by voting for Macron, saying that there is “a clear distinction between a political adversary and an enemy of the Republic,” referring to Macron and Le Pen respectively. “There is no other choice but to vote against the extreme right. 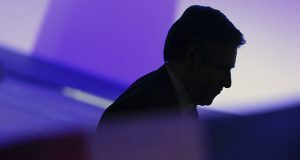 I will vote for Emmanuel Macron,” Fillon said. However, in an interview with CNews, Frederic Dabi, deputy head of the French Institute of Public Opinion Studies (IFOP), said that the electorate of Fillon and Melenchon can be unpredictable. 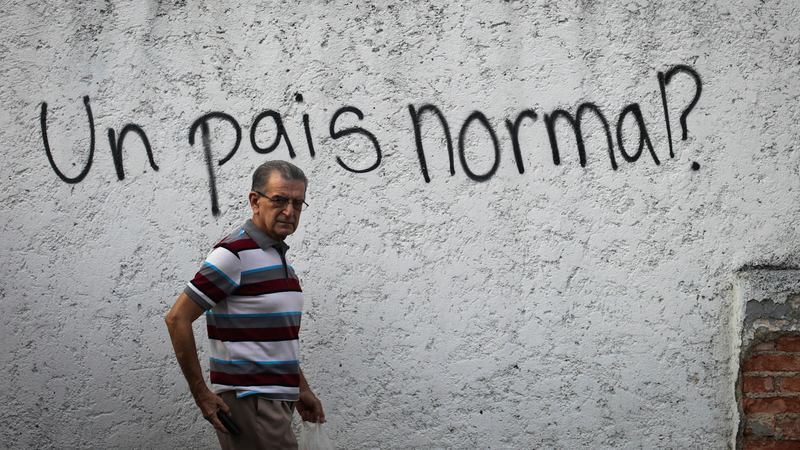 Moreover, it should not be forgotten that before the campaign started, no one could have predicted such a performance by the National Front leader. Macron’s electoral office said that preparations for the run-off against Le Pen would start already on Monday. He said that he intends to become France’s President in two weeks, announcing that he was ready to start working on setting up a coalition in French parliament beginning Monday. 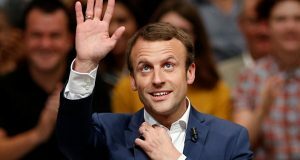 “In your name, I will bring necessary optimism and the road of hope that we need for our country and for Europe to the second round… I want to become your president in two weeks,” Macron said. 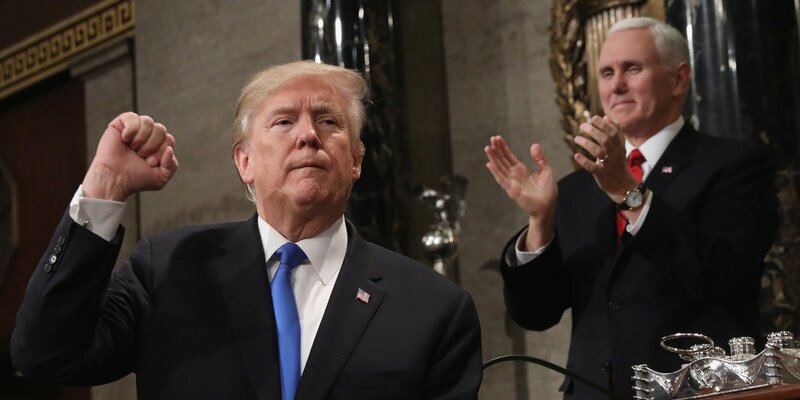 “I want to be the president of patriots in the face of the nationalist threat,” he added, in a half-tongue-in-cheek nod to Le Pen’s supporters, who refer to themselves as ‘patriots’. The representative of the campaign office also commented to Sputnik on Macron’s plans regarding Russia. 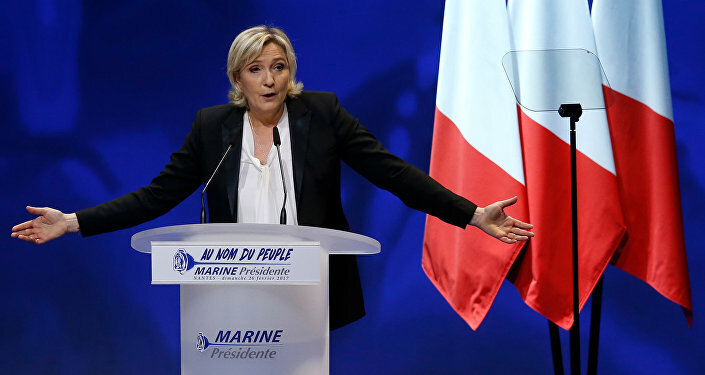 Meanwhile, Eurosceptic French nationalist Marine Le Pen also had reason to celebrate. “You have led me to the second round [of presidential election] and I express to you, my voters-patriots, my deep gratitude. The first stage that must lead to the Elysee Palace is overcome,” Le Pen said addressing her supports. 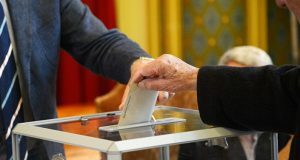 She called the results in the first round “historic” and an “act of French pride.” On Sunday, Le Pen received the highest proportion of the French presidential vote in the National Front’s history. Le Pen noted that she and her supporters have a significant responsibility to protect the French nation, its culture and values. Le Pen’s ambitions include withdrawing France from the European Union and resurrecting France’s national currency, the franc. 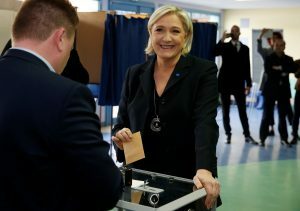 The result of the vote was a major personal achievement for Le Pen since she came in the third place during the previous election. 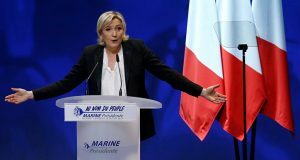 Le Pen also once again criticized Hollande, calling his five-year term a “disaster.” She called on the French to vote for her in the run-off and said that French citizens would have to decide between a state without borders, including mass migration, and a protected France. 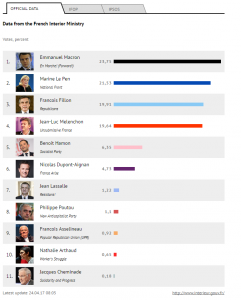 Meanwhile, according to data from the Interior Ministry, Le Pen was mostly supported by rural voters. In Paris, she was backed by 4.99 percent of voters, while her rival Macron was supported by 34.83 percent of the local residents.